All orders are dispatched the within 1-3 business days. Please note, during sale periods or peak times there may be some delays. Please check with your local post office if you experience problems during shipping. • Delivery between 12-28 business days (shipping may take longer to some countries, so please be patient). • All orders are dispatched within 1-3 business days. Please note, during sale periods or peak times there may be some delays. • This service is NOT trackable. • Please do not contact us about your order unless it has been more than 28 business days since your order was placed. • Signature required on delivery. If you are not at home at the time of delivery the package will be delivered to your local post office and card/slip will be left with pickup details. You will need identification to collect. To ensure orders are processed quickly we are not able to make any amendments after you place your order, including changing the billing/shipping address, remove/add items to your order or cancel your order. WHERE DOES COSIMA SKINCARE SHIP TO? We ship WORLDWIDE. If your country is not listed at the checkout, please email us so we can look into adding your country to the list. All international customers are responsible for the customs rates and Duty’s within their own country. Cosima Skincare will declare FULL $ value paid on international shipments and must include an invoice for customs should they require it. Unfortunately Cosima Skincare CAN NOT put a lower value on the parcel. IT IS EXTREMELY IMPORTANT THAT ALL CUSTOMERS HAVE THE CORRECT DELIVERY ADDRESS LINKED TO PAYPAL. ALL ORDERS ARE DESPATCHED TO THE DELIVERY ADDRESS THAT COMES WITH THE PAYPAL PAYMENT NOTIFICATION. IF THIS DELIVERY ADDRESS INFORMATION IS INCORRECT OR OUT OF DATE, THEN YOUR PARCEL WILL BE SENT TO THE WRONG ADDRESS AND CANNOT BE RECOVERED! We respect your personal information and undertake to comply with applicable Australian Personal Data Protection legislation. 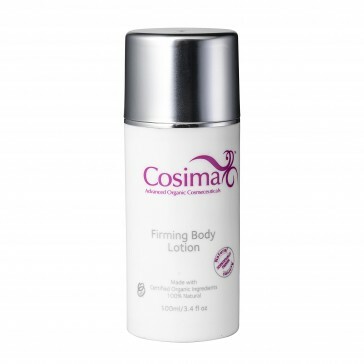 and from time to time to notify you of Cosima Skincare products or special offers that may be of interest to you. You agree that you do not object to us contacting you for any of the above purposes whether by telephone, e-mail or in writing and you confirm that you do not and will not consider any of the above as being a breach of any of your rights under the Telecommunications (Data Protection and Privacy) Regulations. You should be aware that if we are requested by the police or any regulatory or government authority investigating suspected illegal activities to provide your User Information and/or information concerning your activities whilst using the Cosima Skincare Website we shall do so. You have a right to request a copy of any information we hold on you and to correct any inaccuracies. Only items purchased directly from the official Cosima Skincare website can be returned for refund or exchange. Please choose carefully as we cannot refund items if you simply change your mind. Refunds will be given if a product is faulty. Products are inspected prior to postage, however if you do receive a faulty item please notify us immediately by email and return the item in its original packaging within seven (7) days. We will replace the item or give a refund if the same product is not available. 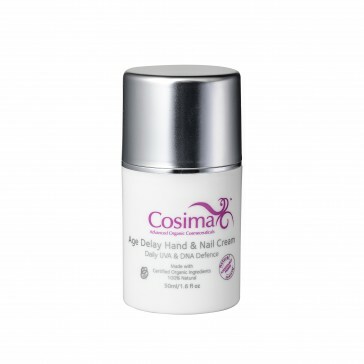 If an item is unused Cosima Skincare will exchange within seven (7) days. Items must be unopened and in their original packaging. In the case of an exchanged item the customer is liable for all postage costs associated with exchanges and refunds. If your return does not reach us safely we will not be able to complete the refund, we recommend sending any items via a traceable method, please retain proof of postage until you have received confirmation that your return or exchange has been processed. All item descriptions and prices are provided to the best of our knowledge. While all care is taken, any errors or omissions in the item details are unintentional. Cosima Skincare reserves the right to correct any errors or omissions prior to processing an order. Cosima Skincare products purchased through one of our stockist must be returned to the retailer where they were purchased for a refund or exchange, according to the retailers return policy. Please retain your receipt/proof of purchase and check the retailers exchange, refund policy as they will vary from store to store. Ordering from our website is easy, simply place the item/s and the quantity you would like into the shopping basket by clicking the “Add to Cart” button. If the items you are order are in stock, your order will be dispatched the within 72 business hours. During busy periods there may be delays due to the volume of orders we receive. Unfortunately, we are unable to make any changes or cancel your order once it has been placed. Please ensure all the details on your order are correct before submitting your order, in particular we recommend double checking your email address and delivery address. Please note: we reserve the right to cancel any order at any time. All prices are charged in Australia Dollars AUD. Please login to view your order history. Please login to update your account information.